This shawl is on track to be my quickest shawl ever! Crochet is pretty awesome in that regard! As I’m nearing the end of the ball, I decided to mess around with a couple different edgings. 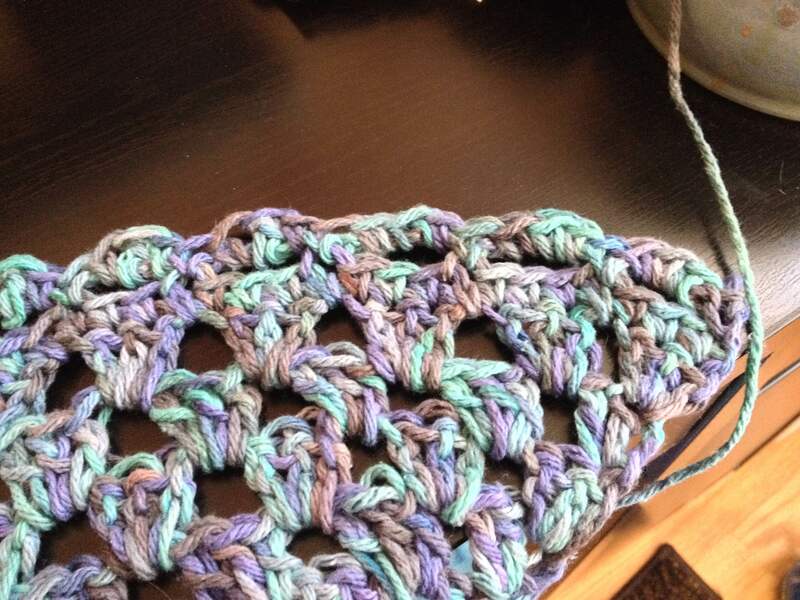 I haven’t looked at the pattern in a week (the project is only 8 days old! ), so why start now? It’s a classic scallop edge, and it’s a classic for a reason…it definitely has the most polish to it. 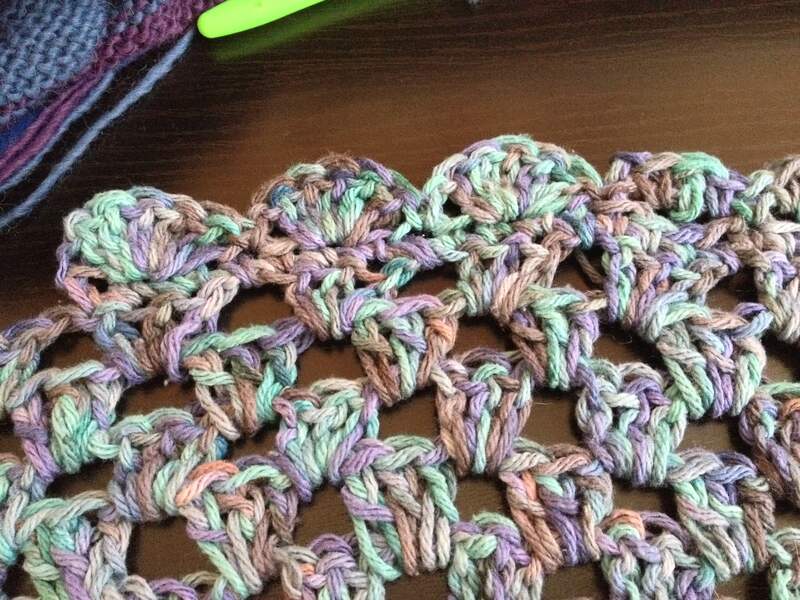 Granny squares are as classic as crochet gets and Granny knows best! So, once I rip out my little practice swatch, it’s less than 2 rows until I finish…There is light at the end of the tunnel…I could be back within the legal project limit by this afternoon!